Shout out to Lonely Planet for voting Germany as the second best place to visit in 2019! Ja wohl! We definitely couldn’t agree more! We at CAS Trips have been traveling to the German capital for several years now, and it has truly become one our favorite cities in Europe. 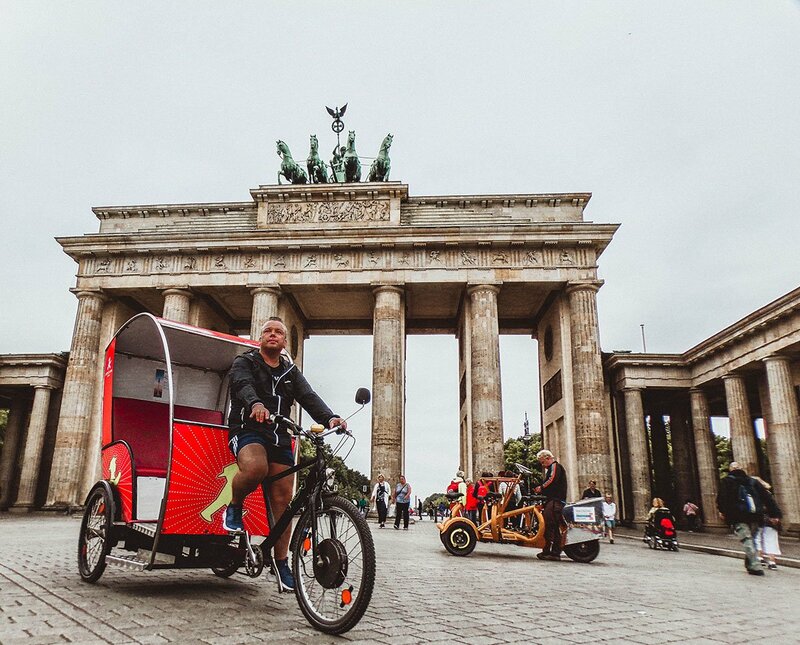 We spoke with Sophie, our local CAS Trips Manager, to get some first-hand insights about Berlin. Sophie comes from a musical background, and is now a qualified historian specializing in Cold War. She loves being able to call Berlin her home. Sophie, how long have you been living in Berlin? Well, I moved here in 2010 to stay for a few months, and eight years later I’m still here! What is your favorite monument in Berlin? That’s a really difficult question as there are so many…it will sound a bit of a cliché but I would have to go with the Brandenburg Gate. It’s such an impressive symbol of the city. What is your number one Berlin insider tip? Never miss the history but don’t be afraid to explore off the beaten path. There are so many alternative areas and incredible artworks painted across the city – abandoned airports, old spy towers converted into squatted art exhibitions. The city has totally opened my eyes to how much can be done with urban space. What do you think of Lonely Planet voting Germany as second best country to visit in 2019? I would say I am fairly biased but I can see why! Germany is a country that not only offers an incredible history, but has a beautiful and varied landscape, and is a country packed with culture. Whether you are hiking in Sächsische Schweiz, visiting the Schloss Neuschwanstein or discovering Berlin’s counter-culture, I feel like there is something for everyone. What is your favorite activity during your CAS Trips in Berlin? This is also a tricky question as everything we do is so varied…if I had to narrow it down I would say one of my favorites at the moment is our urban gardening challenge at Cafe Botanico. Finding this activity was such an interesting one as I had never heard of permaculture gardening before, and I think the idea of utilising our biological resources and natural energies to grow food makes perfect sense. The idea is, that as plants grow in the garden you observe how nature responds and adapts, which really helps us to use what we have and massively reduces waste. We also get to eat in the cafe that is run alongside the garden, using ingredients that have been grown there which feels super healthy and tastes amazing! If you had to describe Berlin in one word, what would it be? Optimistic. I am often aware that I live in a city that has witnessed an extremely turbulent past, a city and a country that has only been reunited for just over 28 years. To survive such a history and come out on the other side gives me hope and confidence for our future. Want to join the international travel hype and visit Germany? Contact us to find out more about exploring Berlin or any of our other destinations!